Well, it’s important to understand that the concept of GPOs is a Microsoft construct. Microsoft has heavily invested in both the Active Directory platform’s capabilities, as well as with Windows APIs and its ability to execute Powershell commands. But, even with this significant investment, it still remains an on-premises product. Since Active Directory remains a firmly planted on-prem solution, the concept of cloud GPOs doesn’t really make sense. 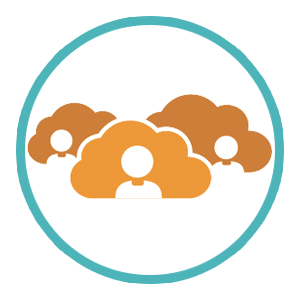 Without a cloud Active Directory, there can be no cloud GPOs. One common thought is that IT organizations can just switch to Azure Active Directory, and run cloud Active Directory and cloud GPOs from there. Unfortunately, the truth is that Azure Active Directory is not a replacement for the on-prem AD. Not only does Azure not have the functionality to run GPOs in the cloud, but it is also only aimed at your systems hosted in Azure rather than your on-prem systems. This means that it still requires an Active Directory instance to implement, which is a quite painful process in itself. On top of all that, the concept of GPOs is also relegated to Windows systems only. When you think about what IT network looks like today, it’s easy to see that it’s no longer the Microsoft exclusive environment that used to be. Now, it’s more of a mixture of Windows machines and a great deal of macOS and Linux systems. It’s essential in today’s world to be able to control and manage devices with a cross-platform approach, as opposed to the platform exclusive model that Microsoft AD has currently. Active Directory doesn’t have the functionality of cross-platform GPOs, and it’s forcing IT admins to find other ways to manage their macOS and Linux systems. As more IT management tools move to the cloud, the concept of cloud GPOs doesn’t need to stay an on-prem Windows exclusive idea. A new generation of cloud identity management platform called Directory-as-a-Service® is taking that idea and executing on the concept of a cross-platform, cloud GPO-like solution. Think of this modern IDaaS platform as a next generation Active Directory solution, built for a cloud and cross-platform environment. The Directory-as-a-Service platform offers cloud GPO-like functionality through the inclusion of policy templates. These templates help execute standard tasks, and grant the ability to execute customized commands and scripts on Windows, macOS, and Linux devices. The ability to control devices is critical to securing your organization and providing efficient systems for users. With these commands and scripts, you can ensure that all of your systems, regardless of provider, are properly secured and that they meet compliance. If you would like to learn more about the Directory-as-a-Service platform and how it can act as an alternative to cloud GPOs, reach out to us. We would be happy to answer any questions you may have, and demonstrate how our platform can help IT organizations have a smooth and simplified user management process. You can also check it out for yourself at no charge. Your first 10 users are free forever – with no credit card required – so there’s no reason not to try it out. Sign up for a free account today.